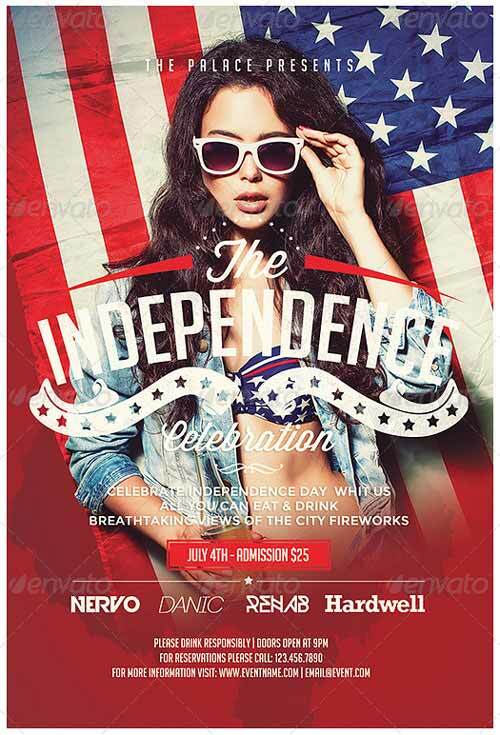 Enjoy downloading the July 4th Independence Day Flyer created by EAMejia! July 4th Independence Day Celebration flyer is a perfect solution to promote your patriotic event. All the texts and colors are editable and easy to change. 0.25” bleeds, trims and guidelines, Print Ready!